Home » Blog » A Special Thank You! 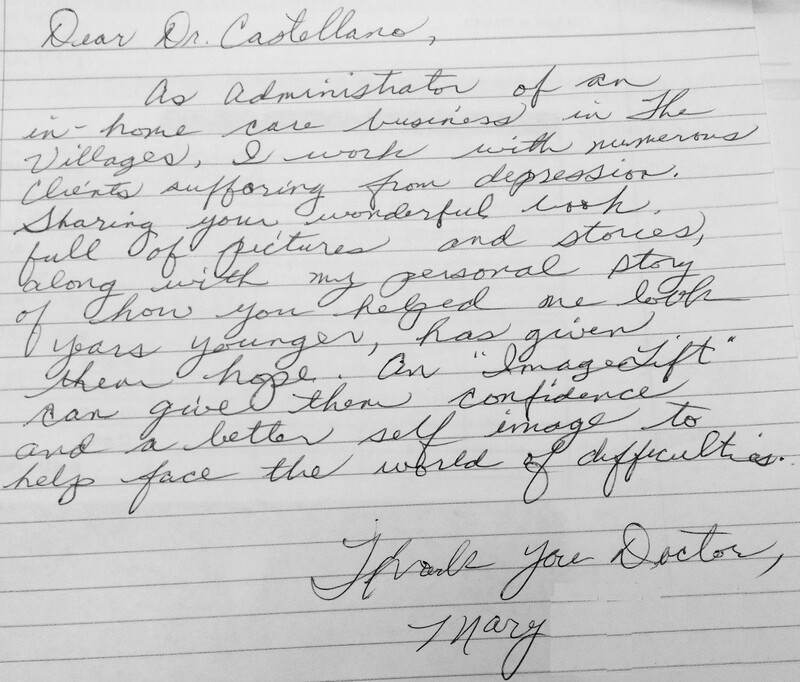 We received a special thank you and testimonial from one of our patients, Mary. At ImageLift, we value these stories and are so happy to help our patients! As Administrator of an in-home care business in The Villages, I work with numerous clients suffering from depression. Sharing your wonderful book full of pictures and stories, along with my personal story of how you helped one look years younger, has given them hope. An “ImageLift” can give them confidence and a better self-image to help face the world of difficulties.